Ce n'est pas la saison pour une « saison » mais c'est revue-time ! Out of all the beers from my favourite brewery, Half Pints, La saison de la ceinture fléchée was the most impossible to find beer I've ever came across. 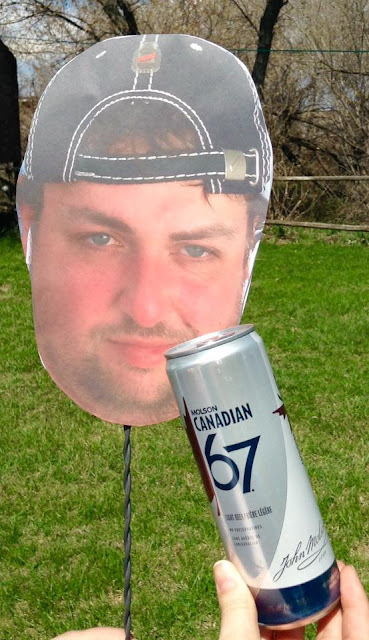 I was lucky to find A bottle thanks to my friend Mike in Winnipeg. 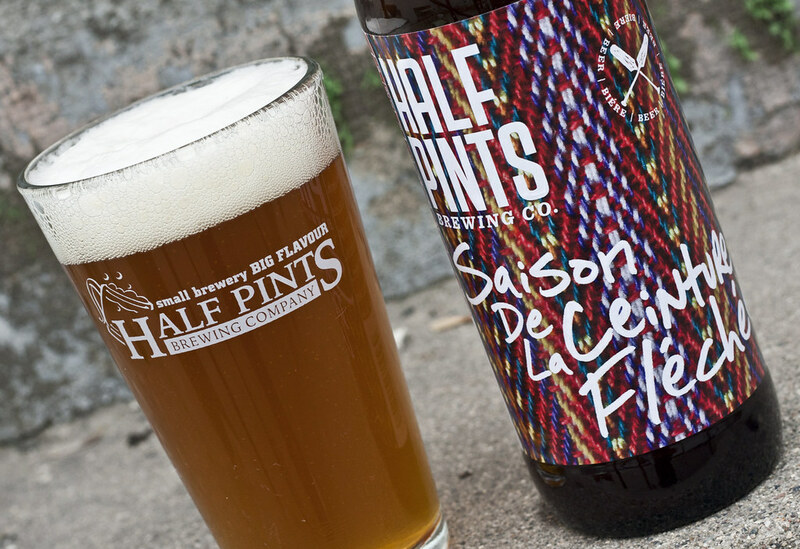 As a franglophone, and a lover of beers, I was excited for Half Pints to release a saison as I absolutely LOVE saisons. 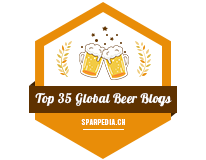 If you look at Untappd, you can tell I am likely the biggest fan of Unibroue's Blonde de Chambly saison on the planet. I love that the label of la saison de la ceinture fléchée is entirely en français.. but there is a grammatical error with "Beer Biére", it's Bière. It's better late that I review this beer (nearly two months after release) than never at all! Appearance: Pours medium golden orangish hazy in look. Looks like your standard saison to me. The head is white and creamy, almost as thick as whipped cream. Aroma: A nice sweet citrus medley, with a bit of (what I think) pear, banana and a slight orange zest, as well as that typical yeasty zing you know in Unibroue beers. Taste: Compared to Unibroue's Blonde de Chambly, this is a much more citrusy and sweeter beer. This actually tastes quite like something Unibroue would make, if they changed the recipe a bit. A nice amount of citrus is hitting my taste buds. Sweet, a bit of spice (cloves). I think the sweetness reminds me of a bit of peach, hint of banana and orange. This is one of the harder beers to guess what flavours I'm noticing as it's a bunch of everything. Overall Thoughts: I absolutely love this beer. It's nice and citrusy, great beer to savour while barbecuing. I wish Half Pints did bigger batches of this, but this beer was so popular that it sold out at liquor marts quite quickly. I wanted to do a cross review between this, Blonde de Chambly and Urthel Saisonnière, but Blonde de Chambly is no longer sold in Manitoba. If you happen to find A bottle, I suggest you give it a try as it's one of the better saisons I've tried. Better than Unibroue's most recent batch of Blonde de Chambly in last year's Sommelier collection as Chambly was kind of off, lacking in citrus zing compared to a previous batch I had.